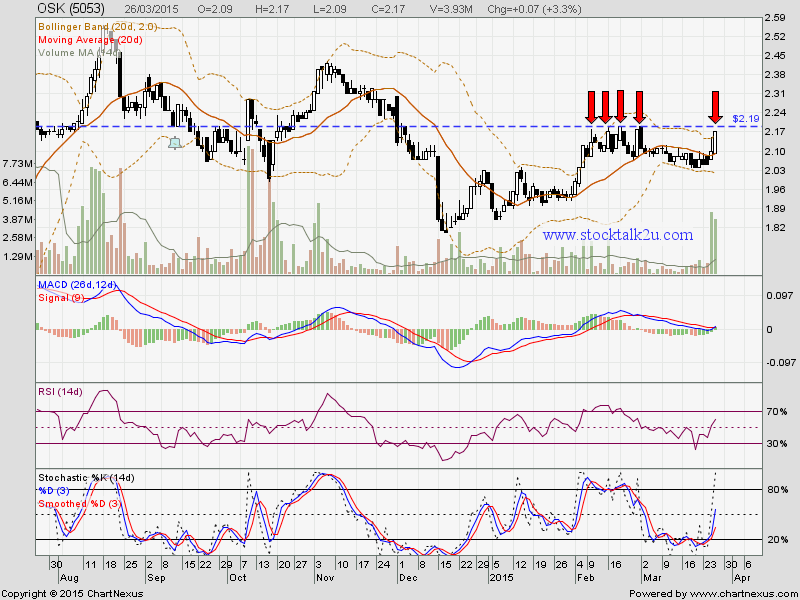 OSK (5053) retest RM2.19 resistance level. How about this round, will it succeed breakout? Immediate support @ MA20 support level.